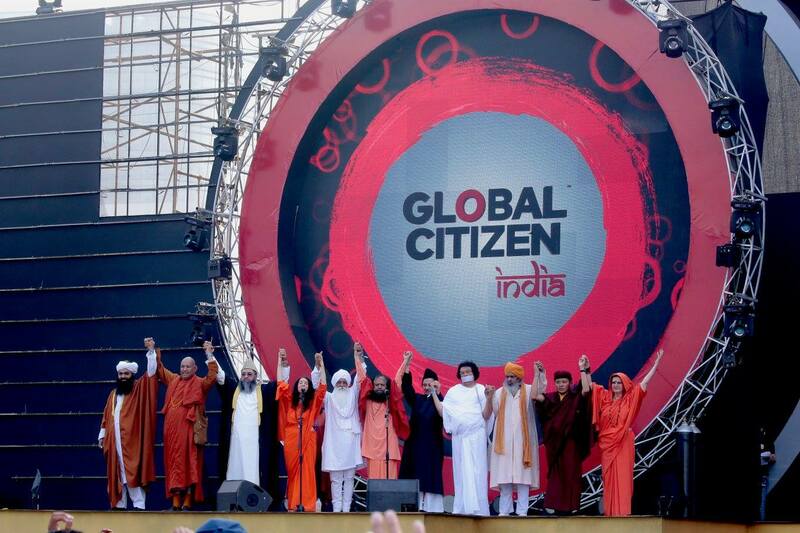 A historic Siksha Kranti Maha Kumbha took place in the Simhastha Kumbha Mela today with the leadership and vision of HH Pujya Swami Chidanand Saraswatiji , President of Parmarth Niketan, Co-Founder of Global Interfaith WASH Alliance. teachers and students who took part in the event. The event started with a grand Swachhta procession, a rally dedicated to raising awareness on the need to make India open defecation free, maintain sanitation and hygiene as well as to protect and preserve our sacred environment. The rally completed as it reached Prabhu Premi camp, where Junapeethadheshwar Pujya Swami Avdheshanand Giriji Maharaj blessed the cause. There was inspiring talks and speeches on the need for a revolution in our education system which re-establishes Swachhta (Cleaniness) and environmental preservation as a fundamental and vital sanskar (value). Said Junapeethadishwar Pujya Acharya Mahamandaleshwar Swami Avdheshanand Giriji Maharaj, lauded the innovative initiative and garnered his support for the cause. The Hon’ble Union Minister of Social Justice and Empowerment, Shri Thawar Chand Gehlotji, gave the keynote address and emphasised the need to join ensure sanitation and education come together as well as to allow education to be a source in which cleanliness of our mind, body and spirit could be taught and practiced. The event concluded with a beautiful and massive pledge for Swachhta Bhi Ek Sanskar inspired and led by the revered faith leaders and the Hon’ble Minister and joined by all teachers, parents and students. While this Siksha Kranti took place in the Maha Kumbha, on the holy banks of the River Kshipra, there was a simultaneous three day event that culiminated today along the banks of the River Ganga in Rishikesh, jointly organized by the Global Interfaith WASH Alliance, the Institute of Applied System & Rural Development (IASRD), the International Chamber of Media & Entertainment Industry (ICMEI) and the Ministry of Earth Sciences, Govt. of India. The event engaged over 20,000 students in Rishikesh and Haridwar area over three days in slogan writing, poster making and essay writing competition on the theme of preserving and protecting the River Ganga and all sacred rivers of India. Today, the best presentations were awarded and a pledge was taken to continue to work for protecting and preserving our fresh water sources.